Hot Rolled, Special Bar Quality steel bars (SBQ) are the foundation of the steel bar industry. 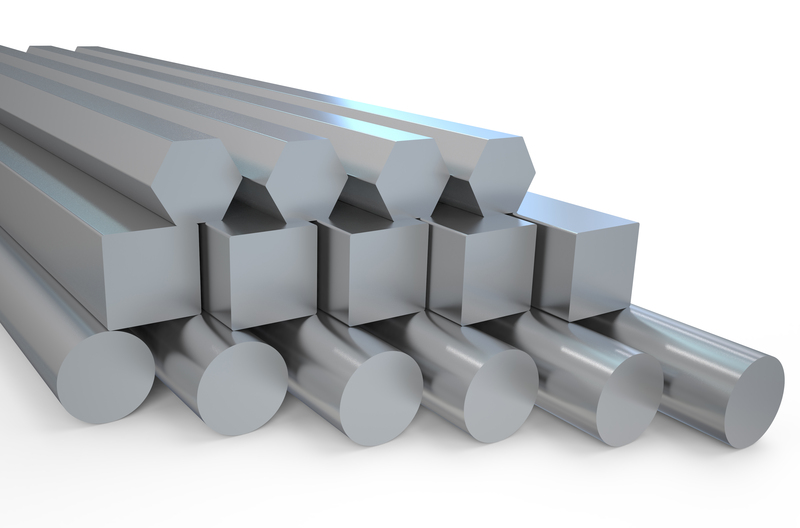 Hot rolled steel bar is produced from iron ore or most commonly from recycled scrap metal in electric arc furnaces. Temperatures nearing 3,000 F liquefy the scrap which is cast in molds to produce an ingot or a billet. These ingots and/or billets are reheated to 2,000 F and forced through a series of machined rolls to form the round, square or hexagon shapes. Hot Rolled bars are the primary feedstock for many forging and machining applications and are used in their “as rolled” condition. Typical applications include bolts, fasteners, hydraulic pipe, fittings, gear blanks, shafts, tank flanges, wheel hubs, connecting rods, pistons and more. Read about the industries who use these products. Interested in Eaton Steel's Hot Rolled Line Card? Eaton Steel Bar Company provides Hot Rolled SBQ rounds, round-cornered-squares, and hexagons and maintains the largest inventory of SBQ carbon and alloy bar products for the forging and machining industries in North America. We deliver more than 500 hot-rolled steel bar products as well as custom grades based on your specifications that are hot, warm and cold forged and machined into precision parts across a broad range of industrial and consumer categories. Our four locations in the metropolitan Detroit area include approximately 800,000 square feet of production and warehouse space on over 40 acres of land. We also stock steel at warehouses around the country, which allows us to ship and deliver the same day to manufacturers and service centers throughout the United States, Canada, and Mexico.